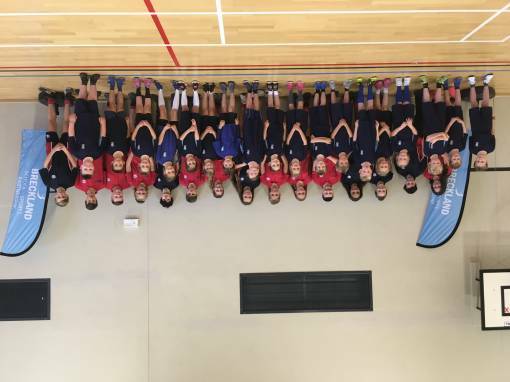 The school games season opened up with a classic this morning, with a closely contested Sportshall Athletics event for years 3/4. Hosted at the impressive facilities at Thetford Academy and marshalled brilliantly by Iceni Academy Y10 pupils the competing schools were in good shapo to deliver some impressive athletics skills. Pupils were able to take part in upto 2 of both the track and field events, which included javelin, speed bounce, long jump, verticle jump amongst others. There were some fantastic individual scores and great sportsmanship amongst those taking part. Iceni Academy students handed out Sportsmanship certificates to those who were encouraging and supporting team mates whilst respecting pupils from other schools. Congratulations to all competitors who took part making this event so exciting and well done to Feltwell boys and girls. Feltwell pupils will now go on to represent Breckland Ssp in the Norfolk School Games Final in february.